Today's Labor Updates, December 17, 2017 | Oliver Bell, Inc.
Nigerian oil union calls for strike after talks hit deadlock. ABUJA: A major Nigerian oil union said on Saturday it would launch a strike from Monday after talks aimed at resolving a dispute with domestic oil and gas companies reached a deadlock. The Petroleum and Natural Gas Senior Staff Association of Nigeria (PENGASSAN), whose members mainly work in the upstream oil industry, is clashing with the companies over the laying off of union members. The strike could hit Nigeria’s oil production and dent exports, as they did in December last year during a PENGASSAN action against ExxonMobil. “PENGASSAN has commenced mobilization for the strike,” a spokeswoman for the union said. The dispute arose after domestic oil and gas companies and marginal field operators laid off union members. Marginal fields refer to discoveries made by oil majors during exploration of larger acreage but which have been left for others to develop. PENGASSAN has asked the government to force the management of those companies to recall their laid off workers. The union said the firms ordered “mass” layoffs but has not given figures. Oil output from Nigeria, Africa’s largest crude exporter, has been volatile over the past two years due to militant attacks, pipeline theft and sabotage and industrial action. Adding to the list of falling precedents in the waning days of Chairman Miscimarra’s term, on Friday, the NLRB reversed another of the seminal decisions of the Obama-Board when it overruled the highly controversial Specialty Healthcare and Rehabilitation Center of Mobile, 357 NLRB 934 (2011) decision. The 3-2 decision in PCC Structurals, Inc., 365 NLRB No. 160 (2017) erased the much derided concept of “micro-units” and reinstated the traditional community of interest test for use in determining the appropriate bargaining unit in representation cases. 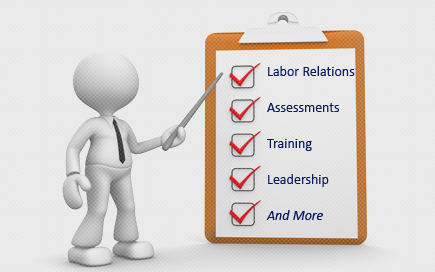 The newly-readopted traditional test considers factors such as functional integration, employee skill, employee interchangeability, working conditions, wages and benefits, common supervision, and bargaining history to determine whether a proposed unit of workers shares a community of interest. In challenging a petitioned for bargaining unit, Specialty Healthcare had required an employer to demonstrate that employees that a union did not shared an “overwhelming” community of interest with the petitioned-for group of employees in order for the excluded employees to be eligible for inclusion in the union’s unit. The Board used the traditional test only as the starting point of the inquiry, also requiring the employer to prove that the petitioned-for unit was “truly inappropriate.” As a result, the Specialty Healthcare decision led to an influx of smaller bargaining units comprised of, for example, a single department of employees instead of the more traditional broader units of employees sharing interests across an organization. Like the other decisions from the Board in the last two days, this decision was not a surprise. Indeed, the departing Chairman Miscimarra hinted in May that Specialty Healthcare could be on its last legs when he noted that he believed Specialty Healthcare was wrongly decided. Given that Chairman’s term is set to expire on Saturday, December 16, he was able to reverse the perceived wrong he saw in Specialty Healthcare on his way out the door. Just as in the other Obama-Board holdings that have fallen in recent days, Members Pearce and McFerran forcefully dissented in the decision. Garda CL Atlantic, Inc. (29-RC-197242) Queens, NY, December 6, 2017. The Board denied the Intervenor’s Request for Review of the Acting Regional Director’s Decision and Direction of Election as it raised no substantial issues warranting review. The Board agreed that documents proffered by the Intervenor did not serve to bar an election. Petitioner – Special and Superior Officers Benevolent Association. Intervenor – United Federation of Special Police and Security Officers. Members Pearce, McFerran, and Emanuel participated. Emerald Correctional Management, L.L.C. (28-CA-188682 and 28-CA-192201) San Luis, AZ, December 4, 2017. No exceptions having been filed to the October 19, 2017 decision of Administrative Law Judge John T. Giannopoulos’ finding that the Respondent had engaged in certain unfair labor practices, the Board adopted the judge’s findings and conclusions, and ordered the Respondent to take the action set forth in the judge’s recommended Order. Charges filed by an individual and International Guards Union of America. Good Shepherd Manor, Inc. (25-CA-191404, et al.) Bradley, IL, December 4, 2017. No exceptions having been filed to the October 23, 2017 decision of Administrative Law Judge Michael A. Rosas’ finding that the Respondent had engaged in certain unfair labor practices, the Board adopted the judge’s findings and conclusions, and ordered the Respondent to take the action set forth in the judge’s recommended Order. Charges filed by American Federation of State, County and Municipal Employees (AFSCME) Council 31, AFL-CIO. Lundeen Simonson, Inc. (19-CA-195000) Spokane, WA, December 4, 2017. No exceptions having been filed to the October 17, 2017 decision of Administrative Law Judge Jeffrey D. Wedekind’s finding that the Respondent had engaged in certain unfair labor practices, the Board adopted the judge’s findings and conclusions, and ordered the Respondent to take the action set forth in the judge’s recommended Order. Charge filed by Operative Plasterers & Cement Masons International Association, Local No. 72. Pomona Valley Hospital Medical Center (21-CA-190102) Pomona, CA, December 4, 2017. No exceptions having been filed to the October 23, 2017 decision of Administrative Law Judge Lisa D. Thompson’s finding that the Respondent had not engaged in certain unfair labor practices, the Board adopted the judge’s findings and conclusions, and dismissed the complaint. Charge filed by Service Employees International Union – United Healthcare Workers – West. Heartland Coca-Cola Bottling Company, LLC (14-CA-195320) St. Charles, MO, December 4, 2017. No exceptions having been filed to the October 23, 2017 decision of Administrative Law Judge Andrew S. Gollin’s finding that the Respondent had engaged in certain unfair labor practices, the Board adopted the judge’s findings and conclusions, and ordered the Respondent to take the action set forth in the judge’s recommended Order. Charge filed by an individual. Roy Spa, LLC (19-CA-083329) Great Falls, MT, December 5, 2017. The Board denied Respondent’s Motion for Reconsideration of the Board’s Decision and Order reported at 365 NLRB No. 114. The Board found that Respondent had failed to identify any material error or demonstrate extraordinary circumstances warranting reconsideration. In the underlying decision, the Board adopted the Administrative Law Judge’s finding that the General Counsel’s position on the merits was substantially justified and therefore adopted his order denying Respondent’s application for an award under the Equal Access to Justice Act. Chairman Miscimarra dissented from the underlying decision based on his view in the Board’s first consideration of this case (363 NLRB No. 183) that the judge abused his discretion by accepting the General Counsel’s untimely filed Motion to Dismiss. Nevertheless, Chairman Miscimarra agreed that Respondent had not demonstrated extraordinary circumstances warranting reconsideration. Charge filed by International Brotherhood of Teamsters Local 2. Administrative Law Judge Robert A. Giannasi issued his supplemental decision on July 12, 2016. Chairman Miscimarra and Members Pearce and McFerran participated. Bethany College (14-CA-201546 and 14-CA-201584) Lindsborg, KS, December 6, 2017. The Board denied the Respondent’s Motion to Dismiss the Consolidated Complaint or, in the alternative, for Summary Judgment, finding that the Respondent failed to establish that there are no genuine issues of material fact warranting a hearing and that it is entitled to judgment as a matter of law. Members Kaplan and Emanuel joined in the denial of the motion but expressed no opinion on whether Pacific Lutheran University, 361 NLRB 1404 (2014), was correctly decided. Charges filed by an individual. Members McFerran, Kaplan, and Emanuel participated. In an unpublished order, the Court enforced the Board’s bargaining order issued against these two entities, the Masonic Temple Association of Detroit, Michigan, and its for-profit business arm, 450 Temple, Inc., as a single employer, in their operation hosting events, such as weddings, parties, and concerts, at the complex’s 20-story tower that contains a 4,000-seat theater, a ballroom, and restaurants. For over 50 years, Local 324, International Union of Operating Engineers, AFL-CIO, and its predecessor, have represented the maintenance engineers, boiler operators, and operating engineers at the complex under a series of collective-bargaining agreements with various operators. In January 2011, while negotiations for a successor contract were underway, the association’s general manager told a unit employee that the association president planned to refuse to recognize the Union. After learning of that statement, the Union filed an unfair-labor-practice charge, which the parties then settled and continued bargaining. In December 2012, the then-operator ended its relationship with the association and was replaced by 450 Temple, but the association president continued to oversee collective bargaining. After negotiations stalled, and over the course of the next two years, the Union made repeated demands for bargaining and attempted to reach the president to schedule further negotiations. Meanwhile, the Employers, despite not responding to the Union’s bargaining requests, continued to remit union dues and to pay medical and insurance payments to the Union. On January 13, 2015, when the Union finally spoke with the president on the phone, the president refused to bargain, stated that the companies would never again be a union employer, and hung up. On the basis of that refusal to bargain, and its rejection of a claim that the underlying charge was time-barred, the Board (then-Chairman Pearce, and Members Miscimarra and McFerran) found that the companies, as a single employer, violated Section 8(a)(5) and (1). The Court’s judgment order may be found here. Anderson Enterprises, Inc. d/b/a Royal Motor Sales (20-CA-187567; JD(SF)-51-17) San Francisco, CA. Administrative Law Judge Jeffrey D. Wedekind issued his decision on December 4, 2017. Charge filed by an individual. Bexar County Performing Arts Center Foundation d/b/a Tobin Center for the Performing Arts (16-CA-193636; JD-95-17) San Antonio, TX. Administrative Law Judge Arthur J. Amchan issued his decision on December 5, 2017. Charge filed by Local 23, American Federation of Musicians. Brasfield & Gorrie, LLC (09-CA-199567; JD-96-17) Birmingham, AL. Administrative Law Judge Andrew S. Gollin issued his decision on December 8, 2017. Charge filed by United Brotherhood of Carpenters and Joiners of America (UBC), Indiana/Kentucky/Ohio Regional Council of Carpenters.